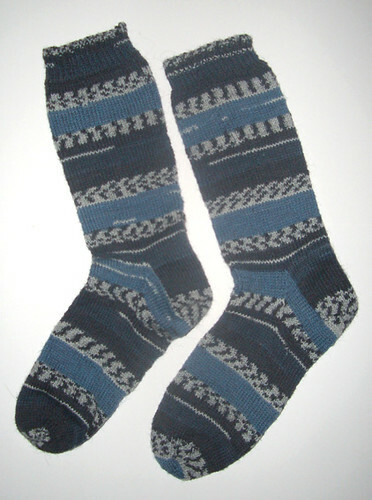 It was my best friend Al’s 30th birthday and being the sock lover that he is (amongst other things), I knitted him my first pair of socks. Yarn: Yeah – ok, it’s self-patterning yarn – but not everyone knows that and people look on at you with amazement like you’re some kind of intarsia virtuoso when you knit with it – which I like 🙂 – It was from Regia – can’t remember the colour off hand I’m afraid. Pattern: Some insanely complicated pattern that came free with the wool. knittinghelp.com was very useful for this project! !